Happy Herbivore Light & Lean has a vast amount of low calorie plant-based recipes (over 150) that are simple and healthy, yet fulfilling and delightful. Even though all of the recipes are 350 calories or less, they’re satisfactory and flavorful, nonetheless! I like how the top page of each recipe indicates when the recipe is gluten-free, budget-friendly, soy-free, quick, and/or fat-free. Light & Lean follows the same path as the other Happy Herbivore cookbooks – all recipes take 30 minutes or less to prepare without oils, processed foods, or artificial ingredients. If you’re not familiar with some of the ingredients, such as liquid smoke, nutritional yeast, black salt, or tempeh; there is a “Glossary of Ingredients” in the back of the book that explains what those ingredients are, used for, and where you can buy them. There’s even a small section in the book that is solely dedicated to fitness, along with eleven fun and easy workout plans such as burpees, plie squats, and mountain climbers. Each exercise regimen is complete with a demonstration picture. 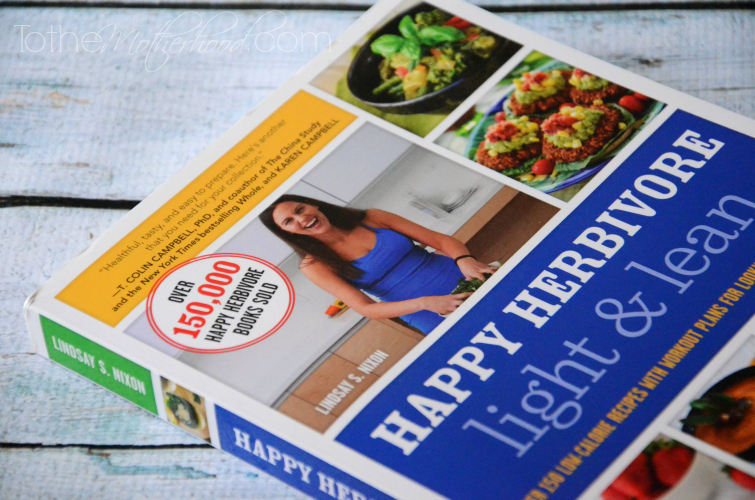 Win It: Two winners will receive the Happy Herbivore Light & Lean cookbook. Lindsay S. Nixon is the bestselling author of the Happy Herbivore cookbook series: The Happy Herbivore Cookbook, Everyday Happy Herbivore, and Happy Herbivore Abroad. As of September 2013, Nixon has sold more than 150,000 cookbooks. Nixon has been featured on Dr. Oz and Food Network, and she spoken at Google. Her recipes have also been featured in The New York Times, VegNews, Bust.com, Women’s Health, Vegetarian Times, Bethenny.com, Shape.com, Fitness Magazine, and Oprah.com, WebMD.com, among many others. A rising star in the culinary world, Nixon is praised for her ability to use everyday ingredients to create healthy, low-fat recipes that taste just as delicious as they are nutritious. Learn more about Nixon and try some of her recipes on her award-winning site HappyHerbivore.com. Connect with her via Facebook and Twitter. My favorite vegetarian recipe is tri color pasta salad with olives,bell peppers,parmesan, and italian or viniagrette dressing. My favorite vegetarian recipe is quinoa stuffed bell peppers! So good! Those breakfast tacos sound amazing. Yum. Sounds like they have some good recipes!! The breakfast taco’s sound like something we would like!! Years ago on a road trip back from Georgia I found a vegan chocolate chip cookie. It was the most surprisingly delicious cookie I’ve ever tried. I’ve never been able to find those cookies again, but I’d definitely like to try making some on my own. Lucero @We Are Earthformed recently posted..What Do You Love About LOVE? Looks great! I’d love to try the BBQ wrap. Looks like some great recipes. The breakfast tacos sound really good. Always looking for something different for breakfast. The breakfast tacos look great! That breakfast taco sounds delish! Yum! We make a lot of vegetarian meals, but don’t have a lot of vegan recipes. This looks great. I would love this cookbook! The breakfast tacos look amazing! I’m not a vegan but I would definitely try some of these recipes. The Nacho bowl sounds like it would be very tasty. Those breakfast tacos look so good. I am not a vegetarian, but this looks like a book I would use often. Ooh I need this! I am not a full blown vegetarian but I eat very, very little meat. Shell Feis recently posted..Welcome to the World, Zachary Owen! I will have to check out this cookbook. I would love to do more meatless meals! I am not fully vegan or vegetarian. But I can appreciate a meal that is. I like vegetarian chili, hummus, and fruit salad. My favorite vegetarian recipe is veggie pizza!!! Always looking for healthy and tasty! 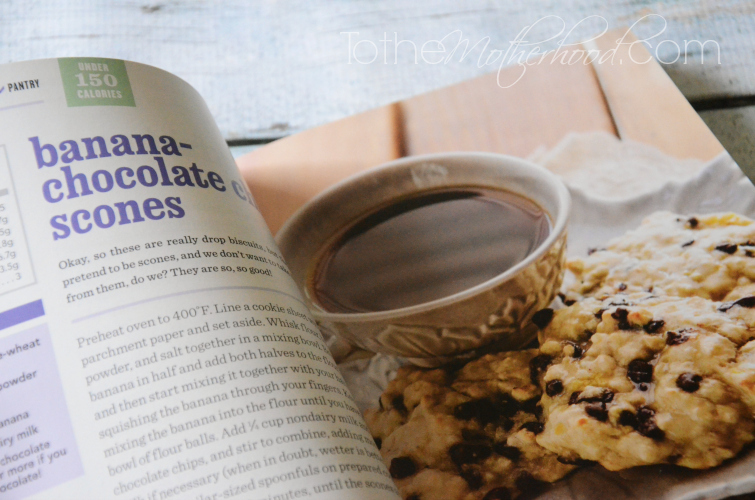 I love “reading” cookbooks. Much more entertaining than a juicy novel. But that’s just me. Breakfast tacos are right up my alley! Anne – Mommy Has to Work recently posted..Ringling Bros. and Barnum & Bailey Circus! I could always go for some breakfast tacos! They look great! I love tofu stir fries! I have a vegan recipe for Corn Chowder that is really good. i make 3 bean vegan burgers that are delicious! Vegetable soup is my favorite. Those breakfast tacos look absolutely amazing! Although I don’t see myself ever going vegan, I would like to incorporate a vegan meal into our diets once or twice a month. This book looks great, especially for beginners like myself! Those breakfast tacos look great! I am loving those breakfast tacos! Dang, I missed the giveaway. 🙁 Lindsay makes some great recipes.